Cármen and João are the owners of Guest House Douro, located in the heart of Oporto’s historical centre. Classified as World Heritage by UNESCO, in 1996, this is a place that offers guests a unique and charming experience. 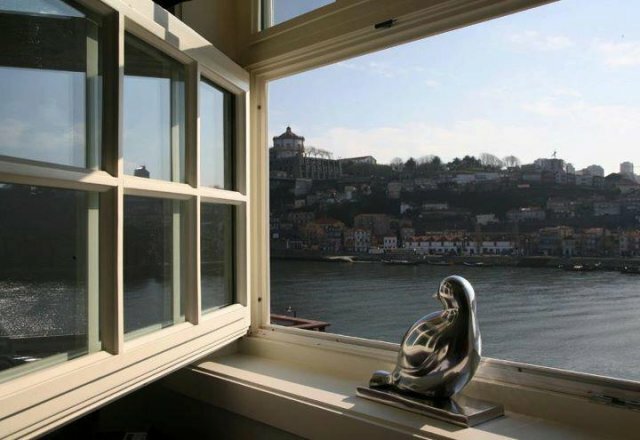 Guest House Douro is the first and only luxury guest house to open its doors right in front of the city’s famous riverfront and is nestled into a historical Ferdinand wall. Surrounded by tourist attractions and historical monuments, such as the S. Francisco Church, the Bolsa Palace, the Dom Luís I Bridge and numerous Port Wine cellars, there is a lot to see and do around here! Upon arrival, guests are greeted with a delicious glass of Port Wine, while Cármen and João present all the attractions and monuments that the city has to offer. But there’s more: the guest house windows reveal a stunning landscape, enhanced by the natural light that illuminates the Douro River. GPS: 41° 08.415" N / 008° 36.874'"